Aluminium is an excellent electrical conductor after copper. Enamelled Aluminium Wire can be used to replace the copper enamelled wires with proper design modifications. 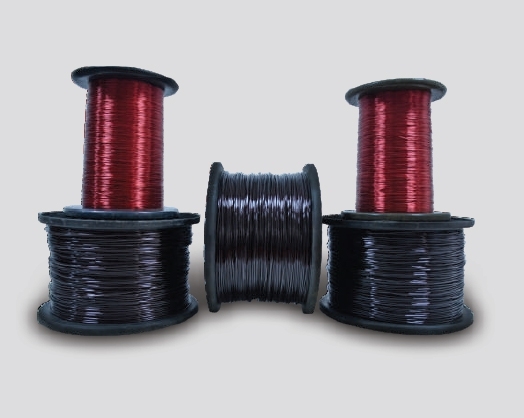 To cater this demand, we produce enamelled aluminium wire as per customer specifications. PT-10, PT-15, PT-25, PT-45 & as per customers requirement. Electrical Motors / Transformers / Automobile / Home Appliances / Light Fittings / Fans / Pump & Other Electrical & Electronic Equipment.